Nearing the end of its lifecycle the Audi A3 still cuts it as a fine, upmarket alternative to the mainstream hatchback norm. It’s no better than a VW Golf, but badge status lifts it to a higher level. It is more practical than its obvious BMW 1 Series rival, even if it’s not as fun to drive. Audi’s A3 might be little more than a posh VW Golf, but that badge, allied with a classy interior and good looks, means it’s as desirable as ever. That’s despite it having been around for a while, this current A3 originally launched in 2003. Three- and five-door ‘Sportback’ models are the most common, though there’s a Cabriolet version too - introduced in 2008. Sporting S3 and RS 3 models top the extensive range. 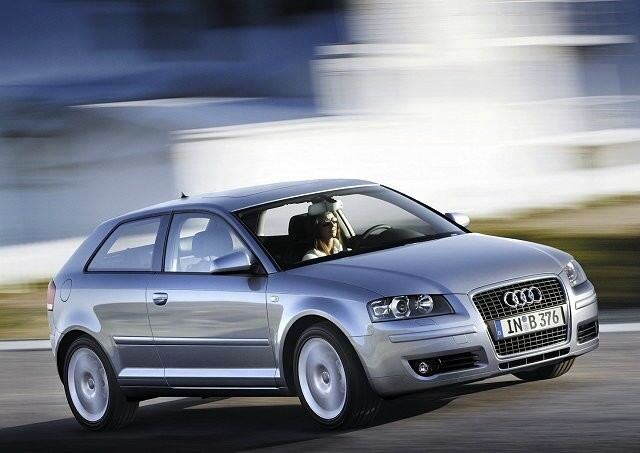 Introduced in 2003 the current Audi A3 has seen a number of styling changes throughout its long lifecycle. The first was the addition of the five-door ‘Sportback’ in 2004, while a facelifted model was introduced in 2008, bringing sharper looks and some additional standard equipment. A Cabriolet was also introduced in 2008, featuring a fabric folding roof for those wanting a compact, open-topped Audi. The engine line-up is extensive, with everything from a 1.2-litre turbocharged four-cylinder to early 3.2-litre V6 petrol units - with everything in between, to a choice of several diesel engines. The range-topping RS 3 uses the same turbocharged 2.5-litre five-cylinder engine as the TT RS, though limited build numbers and prohibitive pricing when new mean it’s unlikely you’ll find many used in Ireland. It’s only available in five-door Sportback form. The RS 3’s slightly less intense relative, the S3, with its 265hp turbocharged four-cylinder engine, should be quick enough for most. Transmissions range from five- and six-speed manuals to an automatic that Audi calls S tronic. The A3 is offered in conventional front- or quattro four-wheel drive versions. As tempting as those fast flagship models are the running costs will be punitive for all but the deepest pockets. Smaller diesels make the most sense, the 1.6 TDI a good all-rounder with respectable, if not fire-cracking, performance. Where it wins is at the pumps, with the most recent 1.6-litre TDI engines managing a very impressive 4.7 litres/100km, and emitting just 118g/km. Earlier cars won’t be able to manage quite that, but they’ll still provide frugal running. SE or S Line specs are best, too.